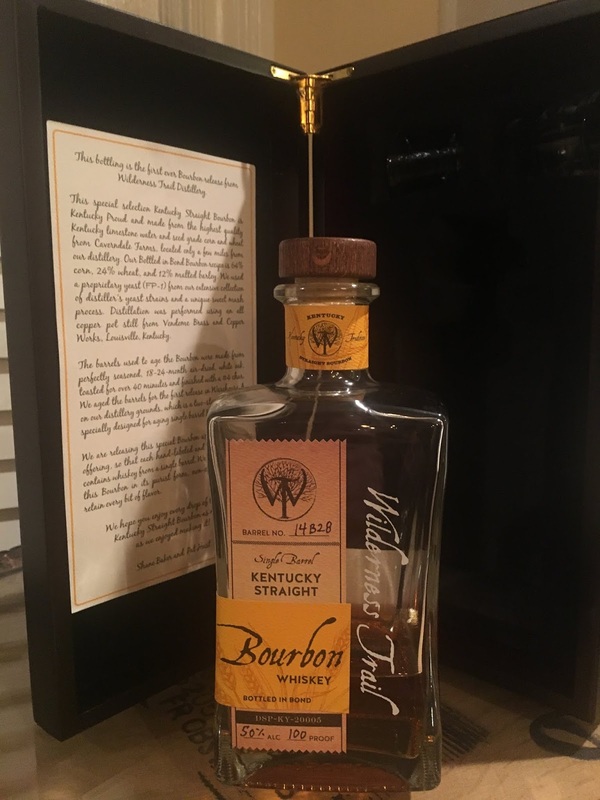 I reserved my bottle of the planned inaugural bourbon release from Wilderness Trail way back when it was called Wilderness Trace, before a certain Fireball-financed distillery seems to have complained that only it could use the word Trace for a distillery. 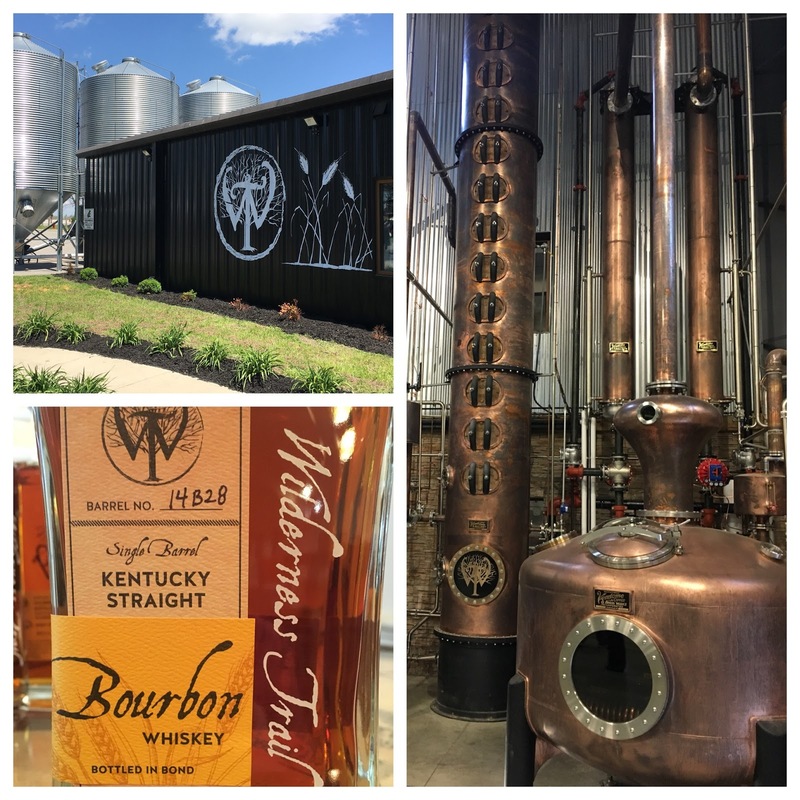 Long before the name of the Ancient Age Distillery was changed to evoke local history, the phrase Wilderness Trace existed as a descriptive geographic name for the area around Danville, Kentucky for over 100 years. The area is known as the Wilderness Trace and numerous local businesses use Wilderness Trace in their names. The files at the United States Trademark Office Trademark Trial and Appeal Board reflect that the Wilderness Trace trademark was published in November 2013. An attorney for Sazerac requested an extension of time to oppose Wilderness Trace in December 2013, and by January 2014, Wilderness Trace filed an abandonment of the trademark. It looks like behind-closed-doors discussions occurred in late 2013 and early 2014 resulting in Trail being substituted for Trace, but fortunately, the artistic logo could still be used and is in fact used today. I didn’t really know anything about the startup distillery when I reserved my bottle so I did my due diligence. I learned about the scientific background of the owners and their successful business, Ferm Solutions, Inc., which provides research, product development, engineering and technical services to the fuel ethanol and distilled spirits industries. These are the guys who work with over 200 brewers and distilleries worldwide to train and consult on fermentation, bacterial contamination, and distillation. And now Shane Baker and Pat Heist are using that know-how to produce bourbon that instantly takes on established brands. They have access to seemingly unlimited proprietary yeast strains, they’re using barrel-entry proof that had been unheard of for 100 years (110 proof for bourbon and 100 proof for rye), they have the discipline to use the sweet mash method instead of the more popular sour mash method, and they had the courage to plan on a single-barrel Bottled-in-Bond bourbon as their first whiskey release. Plus, unlike so many startups and legacy distillers alike, Wilderness Trail didn’t invent any gimmicky origin story or legends. 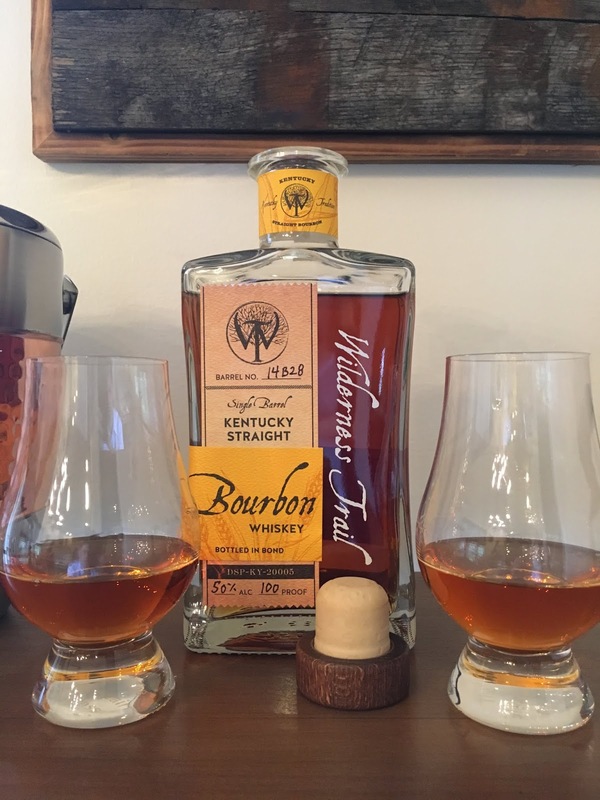 The day finally came this past April when Wilderness Trail released its bourbon, which was celebrated with a “Taste of Danville” celebration complete with local food vendors, live music, tours, and—of course—tastings of bourbon and rye. The majority of Wilderness Trail’s whiskey will continue to age toward a goal of six years, but this first limited edition release of 17 barrels (available with an optional polished wood gift box set) was aged for four years and was reserved for those who signed up early on. The aromas are almost all sweet, with prominent caramel and light fruit, vanilla, honey, and sweet spring wildflowers and honeysuckle. After a little melt, ice changed the aromas to more malt and more herbal. The flavors are mostly consistent with the aromas, but not as sweet. Caramel is the backbone again, with added layers of almond, dried fruit, cinnamon, and a slightly leathery, earthy flavor. I preferred it neat; when I tried it with ice it seemed to taste younger and it lost depth. But neat it’s easily my favorite new whiskey of 2018. Not hot, but a nice swell of caramel sweetness and cinnamon spice, drying by the end with a bit of clove for a medium-long finish. The future is bright for Wilderness Trail Distillery. It’s amazing to me that after just four years they’ve surpassed plenty of other brands at the $50 price point that have been aged twice as long. Maybe it’s the sweet mash or maybe it’s the highest percentage of wheat and lowest barrel-entry proof currently in production. Or maybe it’s the marriage of science with tradition much in the same way that Dr. James Crow revolutionized the industry when he introduced the scientific discipline of his day. And it’s a relief to see Wilderness Trial Distillery doing it right by being transparent and starting from scratch with their own distillate. Don’t miss out on the second release in just a couple more weeks at the Kentucky State BBQ Festival held September 7-9 at Wilderness Trail Distillery. Maybe the folks at Peerless could learn a thing or 2 from these guys. Twice the age, less than half the price.